Spray-On Bed Liner, Heavy-Duty Locking Rear Differential! 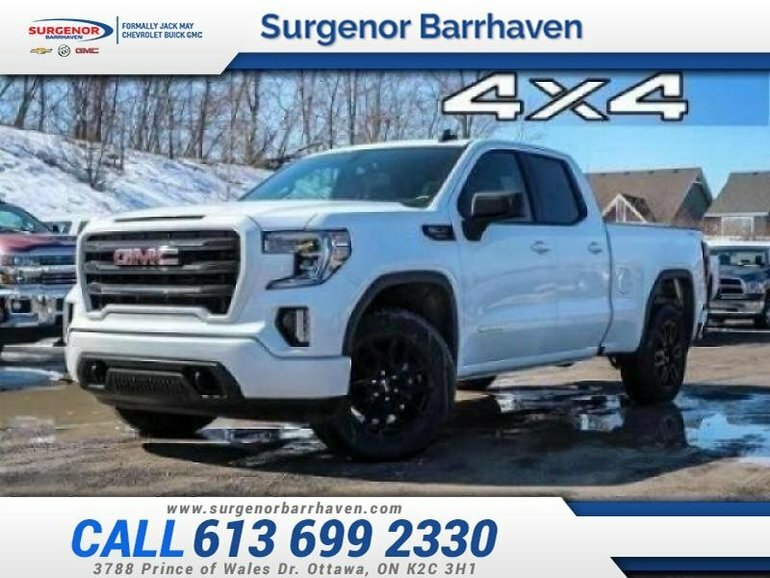 This summit white 4X4 pickup has an automatic transmission and is powered by a 5.3L V8 16V GDI OHV engine. 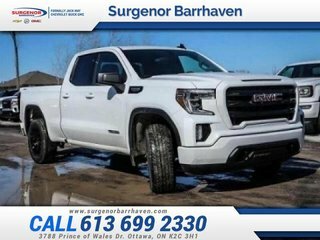 Motivated by that effortless motor it gets 12.6 L/100 km in the city and 10.9 L/100 km out on the highway according to Transport Canada. 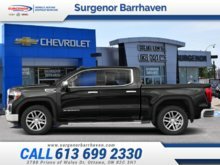 Our Sierra 1500's trim level is Elevation. 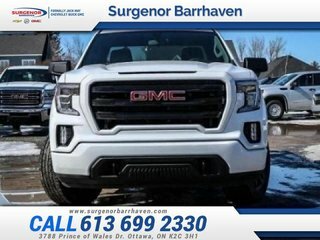 This Sierra 1500 Elevation is packed with great features like aluminum wheels, full size spare, cornerstep rear bumper, LED lighting, heated power side mirrors, and an EZ lift and lower tailgate for style and utility on the outside that continues to the interior with great features like 3.5 inch Driver Information display, rear view camera, Teen Driver technology, front underseat storage, 60/40 split folding rear bench seat, GMC Connected Access capable, leather steering wheel audio and cruise controls, and remote start and keyless entry with a top notch infotainment system with an 8 inch touchscreen, 4G LTE WiFi, Apple CarPlay and Android Auto compatibility, SiriusXM, Bluetooth controls and audio streaming for up to two active devices, USB input, and AM/FM stereo. 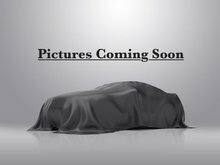 This vehicle has been upgraded with the following features: Spray-on Bed Liner, Heavy-duty Locking Rear Differential. 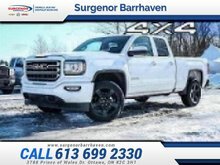 Interested in the 2019 GMC Sierra 1500 Elevation - $304.14 B/W ?